What is a weed? It’s a plant that you don’t want in your yard. That’s a pretty loose definition, which means weeds can encompass anything ranging from undesirable types of grass and moss to flowers. 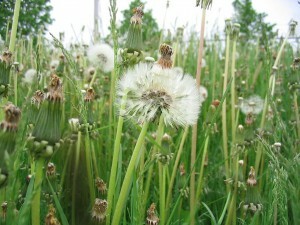 Here’s what you need to know to identify common weeds and keep them off of your turf. Appearing in the spring and fall, their bright, round yellow flowers and puff ball-like seed stage are easy to identify. Dandelions grow long taproots: if you dig these up by hand, you’ll need to remove at least two inches of this root to keep the plant from growing back. Post-emergent herbicides work well on these plants, especially mature ones in the fall, as the herbicide will be able to penetrate the entire root. If you’re developing your lawn, these should fade away as the grass gets thicker, blocking seeds from the soil. What’s wrong with grass growing with grass? Crabgrass grows in large, round clumps that stand out from the rest of your lawn. Overwatering, underwatering, and mowing the grass too short can let crabgrass take hold in your lawn. Pre-emergent herbicides work best, but only if applied at just the right time: contact your local extension office to find out when a treatment will be most effective. Whatever you call it, the nodules of this plant grow long stems, each topped by a single leaf. It grows well in shaded, moist areas with poor soil quality but can sometimes appear in sunny areas. Post-emergent herbicides can kill it off, but it may take several treatments. To keep it at bay, plant grass in the area before it has a chance to grow back. This clover with its round white flowers is a popular addition to flower gardens and arrangements. At one time it was planted with other grasses in lawns, but a shift in fashion to more uniform turf has turned this plant into a weed. It likes to grow in areas with poor soil quality, and particularly in soil with low nitrogen levels; correcting soil nutrients can usually halt its growth. Broadleaf herbicide treatment is effective, but it may take several applications in the spring and fall to eradicate it. With thin stems covered in tiny leaves, chickweed grows in areas with moist soil, shade and good soil. It usually pops up in areas with poor grass coverage and poor drainage. This plant can be pulled out of the soil easily, which stops it from spreading. If you have a large area covered in this weed, crush the stems and apply nitrogen, which will be absorbed directly into the plants, killing them. If this weed is a regular problem, apply a pre-emergent herbicide in the spring and fall. This blue-green grass appears in late summer, growing in clumps that are much thinner than crabgrass, and can even blend in to fescue lawns. It likes to sprout in poorly-drained soil, overwatered areas, and scalped soil, sprouting seeds on its tips when it germinates. A pre-emergent herbicide can prevent germination, but if this grass is already present, bag your clippings to prevent the seeds from spreading. This perennial has wide leaves and long stems covered in seeds. It tends to appear in areas with thin grass coverage and compacted soil, and thrives in droughts and overwatered areas. Hand-pulling plants and post-emergent broadleaf herbicides work best to remove these plants, while aerating can keep them from coming back. While prized by flower growers, this turf nuisance appears in shaded areas with thin coverage. Despite the name, the flower’s pedals can be white, purple, or any shade of lavender in between the two extremes. Steady application of a post-emergent broadleaf herbicide can keep this plant at bay. While other weeds on this list thrive in less than ideal conditions, this plant with its tall, square stems covered in small leaves and small purple or pink flowers grows best in the same conditions as desirable grasses. Post-emergent herbicides can get rid of these plants, while a fall application of pre-emergent herbicide can keep new seeds from taking root. While different plants, they’re both recognized by their long, thin shoots. Garlic plants have hollow stems, while onion stems are solid. Keeping the lawn mowed, even when dormant, can reduce growth. Some selective broadleaf herbicides on the market are designed specifically for these plants; apply these chemicals when the stems are at least two inches tall. 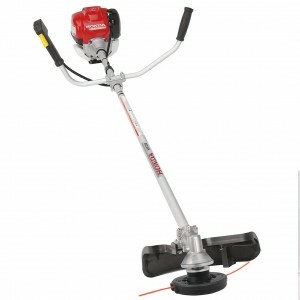 www.hondalawnparts.com is a certified Honda small engine equipment dealer carrying everything you need for your Honda equipment and small engines. We can ship the parts ranging from mower blades to cylinder heads anywhere in the U.S. and Canada. 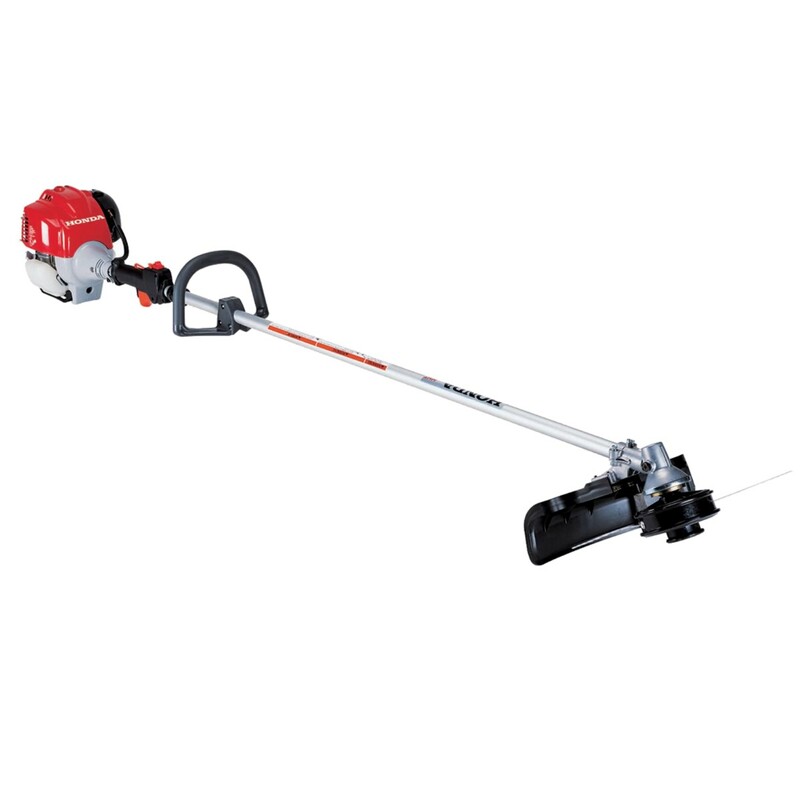 There are a lot of landscaping jobs that can be completed faster with the right small engine equipment, but it isn’t always practical to have a dedicated piece of equipment for every task. That’s where Honda’s VersAttach system comes in: instead of buying individual devices with their own motors, owners can purchase several attachments that work with a single engine and shaft unit. Honda trimmers are designed to go the distance, lasting many years, as long as they’re properly maintained. For the HHT trimmer, fuel system maintenance is a key way to ensure that the equipment is operating efficiently and safely over the long-term. Varying maintenance requirements and routines are needed throughout the year, based on temperature, season, and frequency of use. 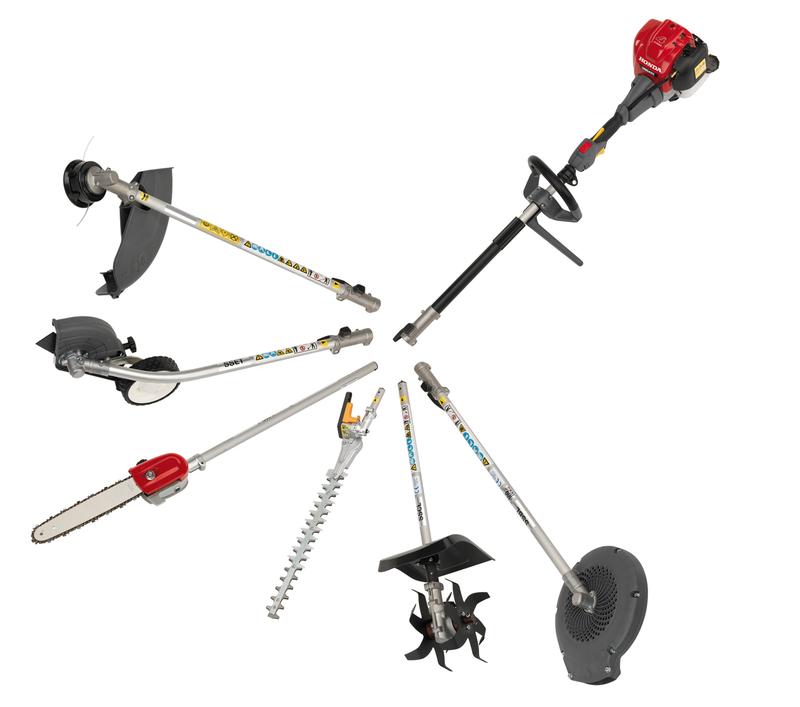 Here’s what equipment owners need to know to get the job done and keep their trimmer in great shape.